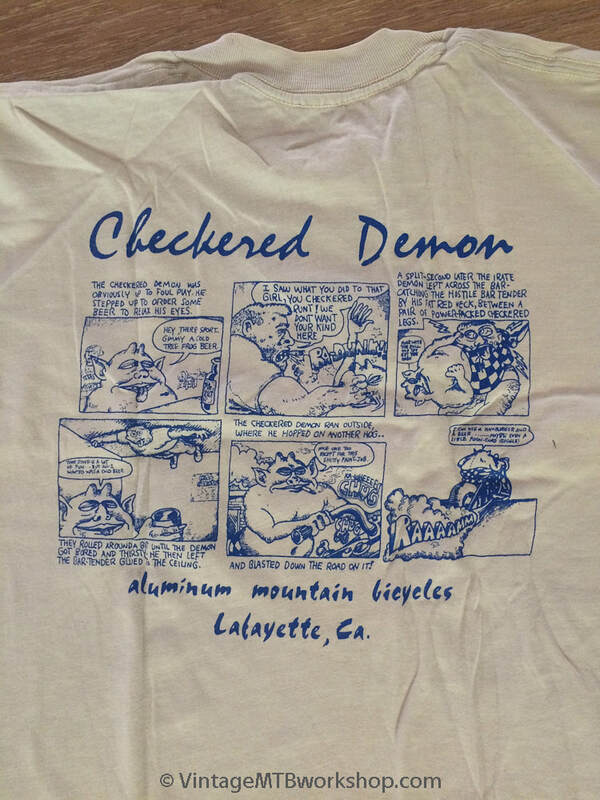 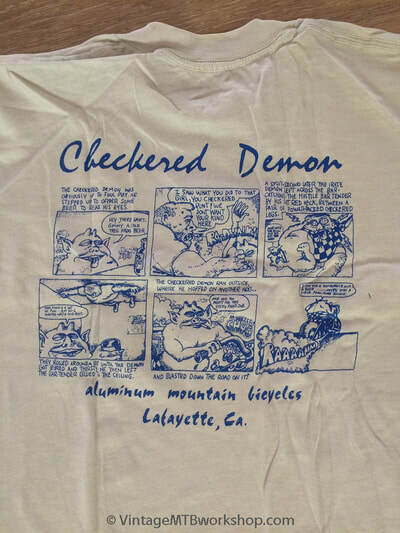 Checkered Demon bikes were designed and built by Martin Poole out of Lafayette, CA, who passed away in 2005. 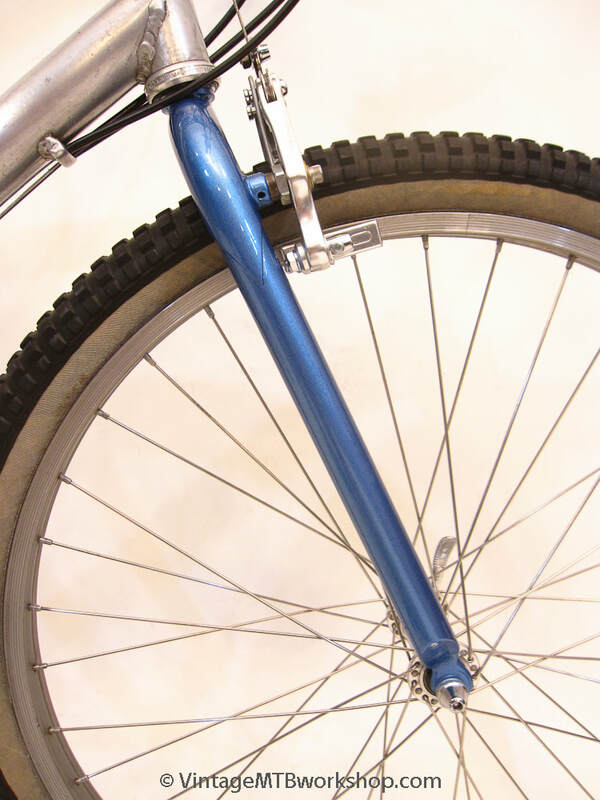 Best estimates indicate that 3 to 4 bikes were made in total and this is the lone survivor. It's unclear whether they were post-weld heat treated, but the failure rate would indicate that they likely weren't. 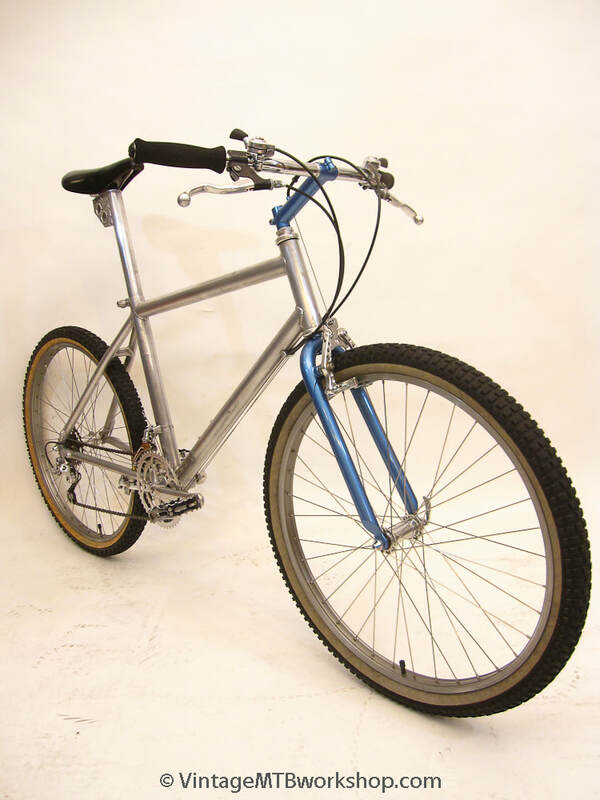 By day, Martin was an accomplished senior electronics engineer at Lawrence Livermore National Laboratory. Martin was also a high school friend of Ibis Cycles founder Scot Nicol, and Scot provided a lot of help creating the Checkered Demon bikes. 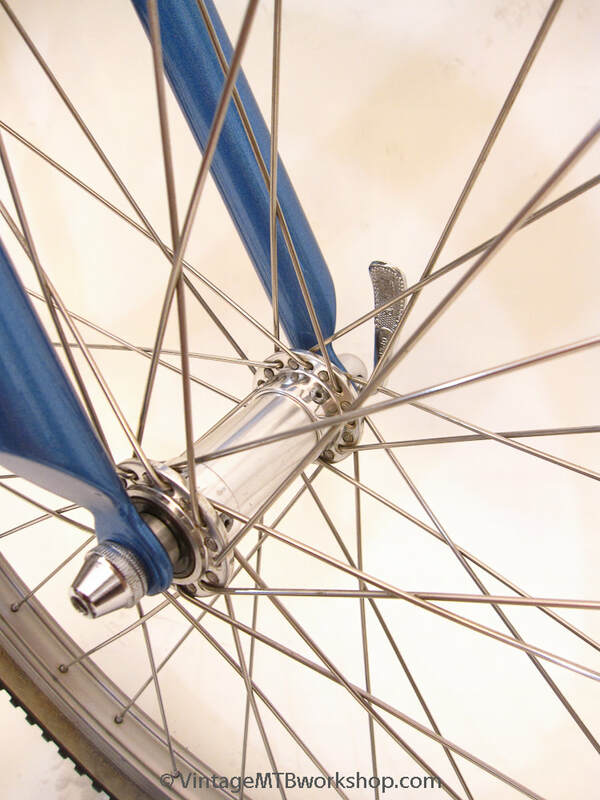 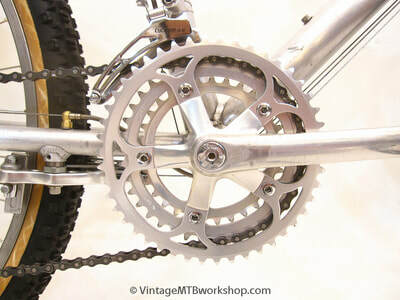 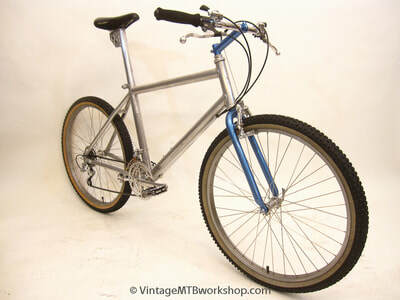 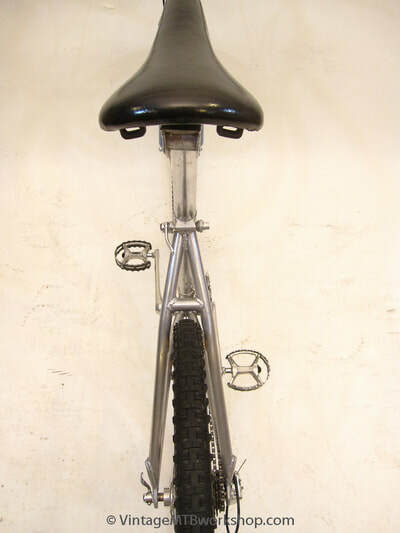 That help would include the early Type II fork, which was likely built by Scot, and the Ibis-modified Hi-E hubs. 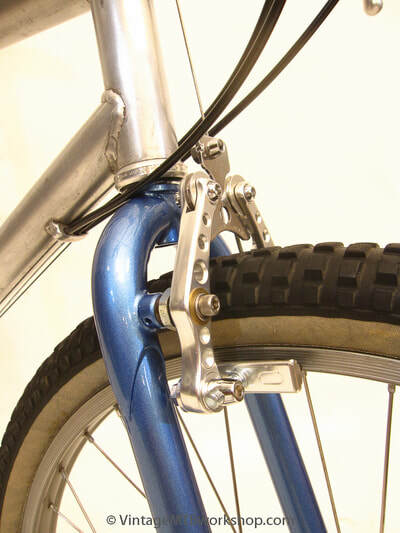 Originally the bike had roller-cam style brakes which Martin had made himself with various improvements but have since been lost. 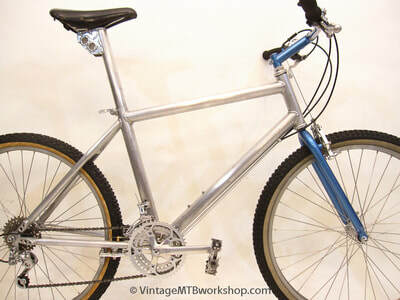 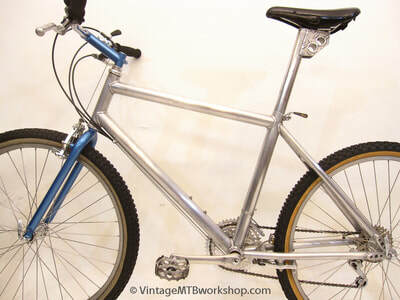 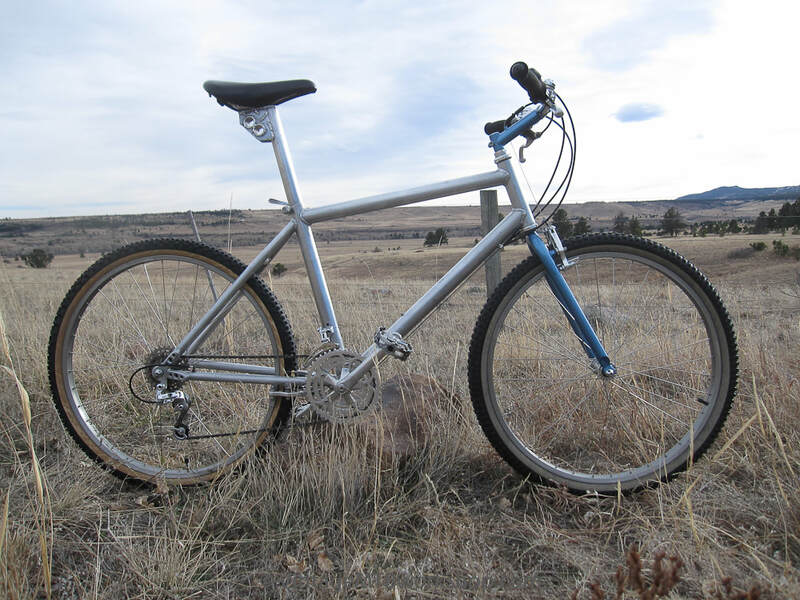 The frame building influences of aluminum mountain bike pioneer Charlie Cunningham are readily apparent, including the oversized tubing, large diameter seatpost, dropout design, and the brake placement. 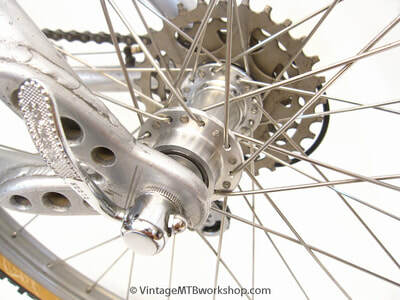 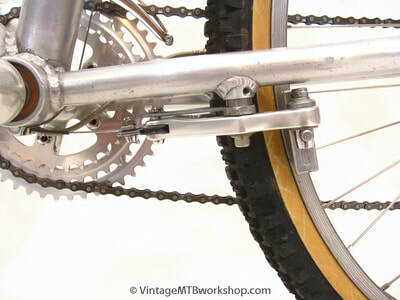 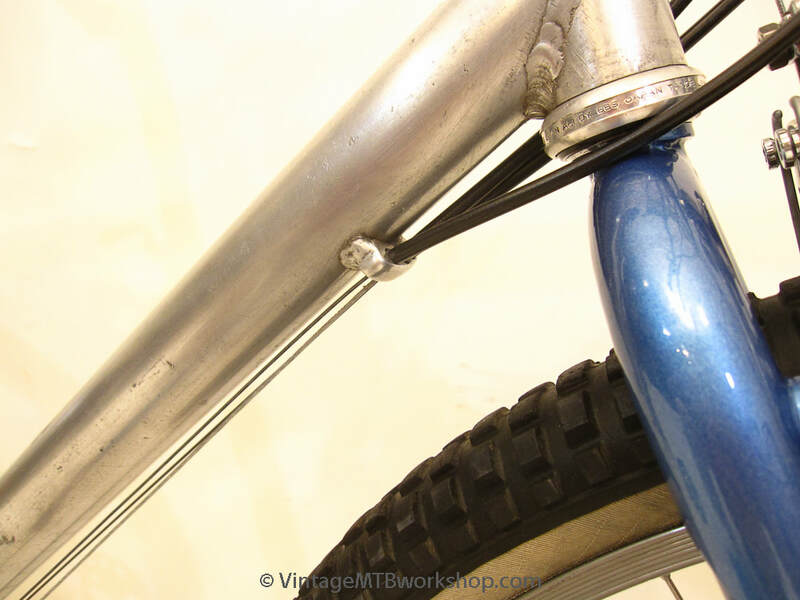 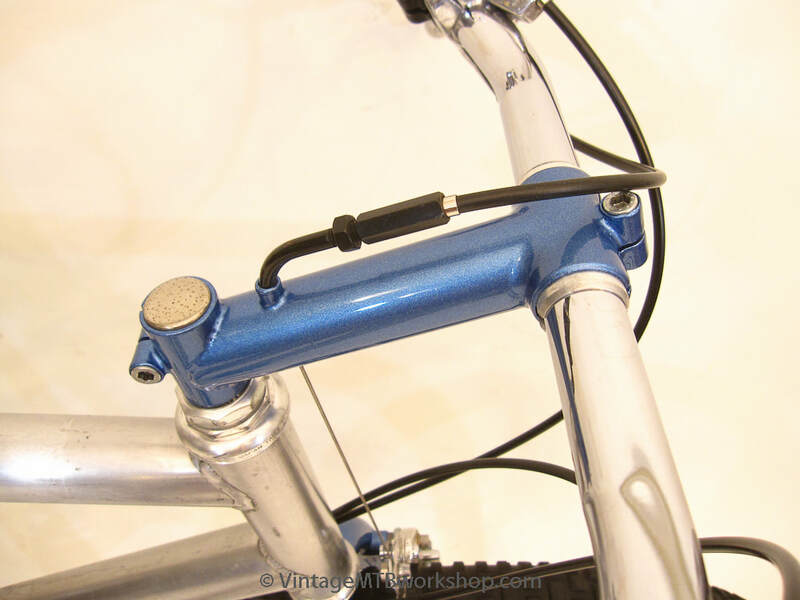 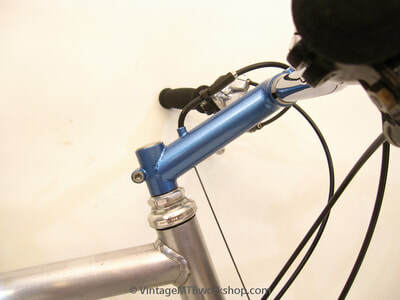 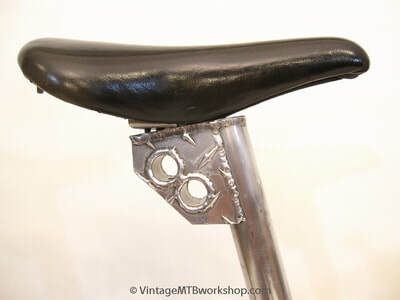 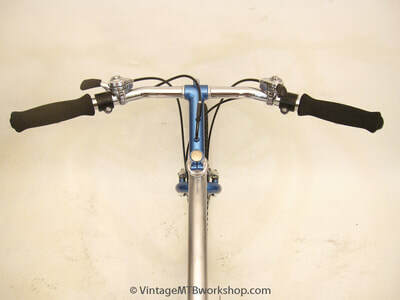 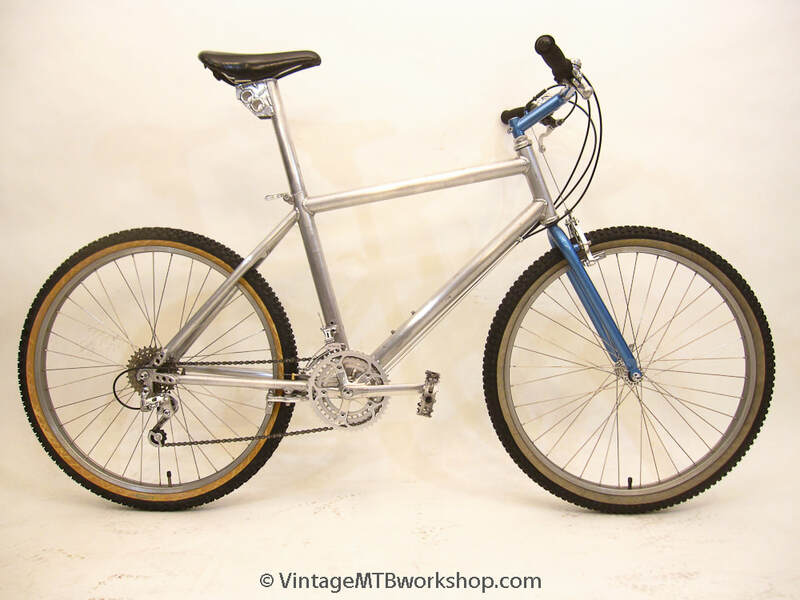 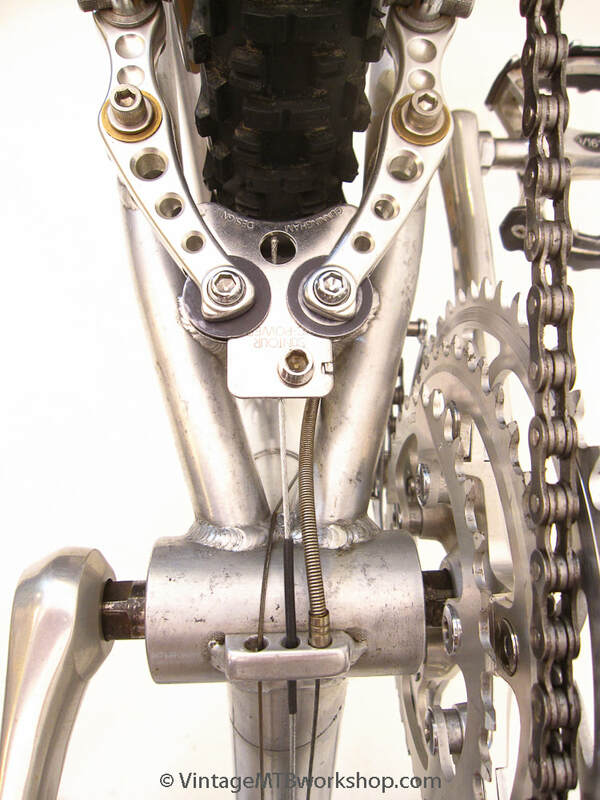 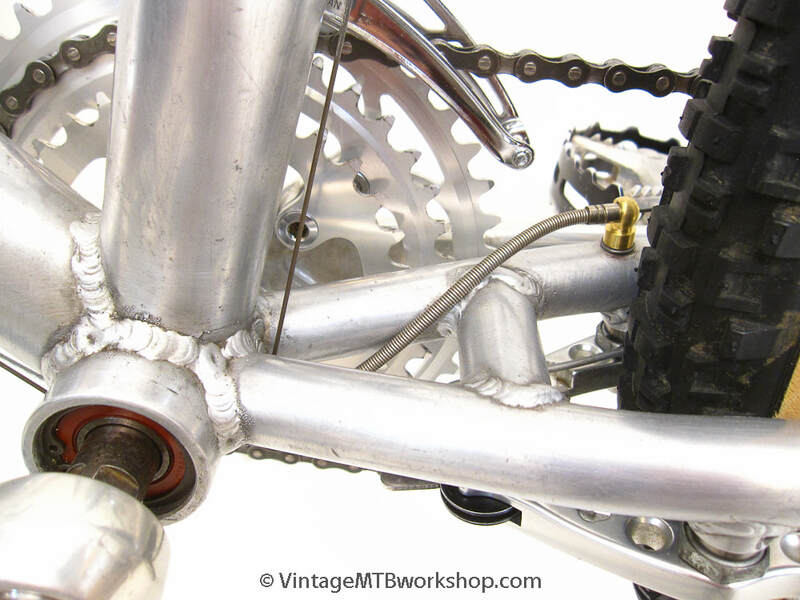 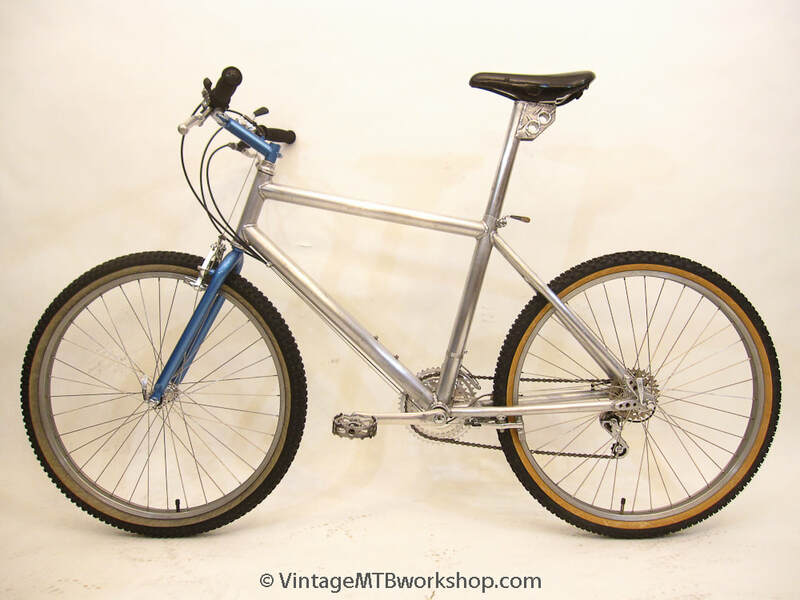 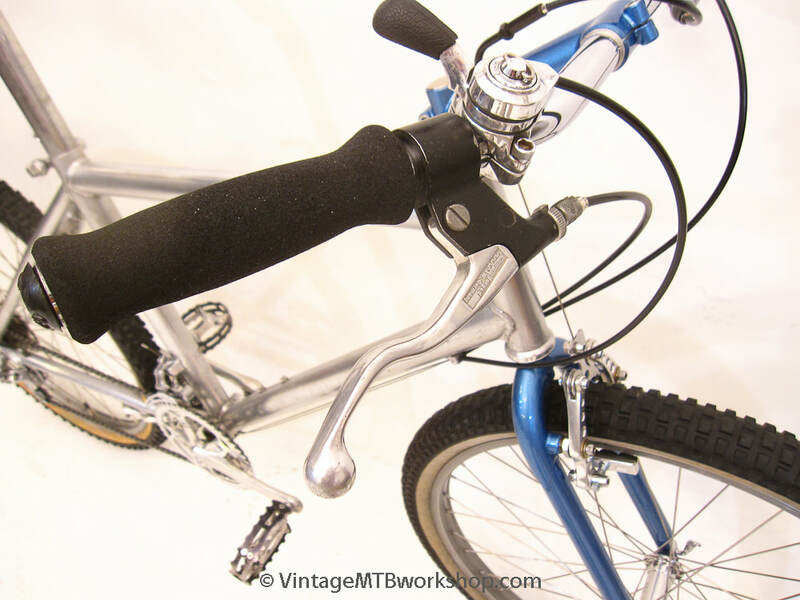 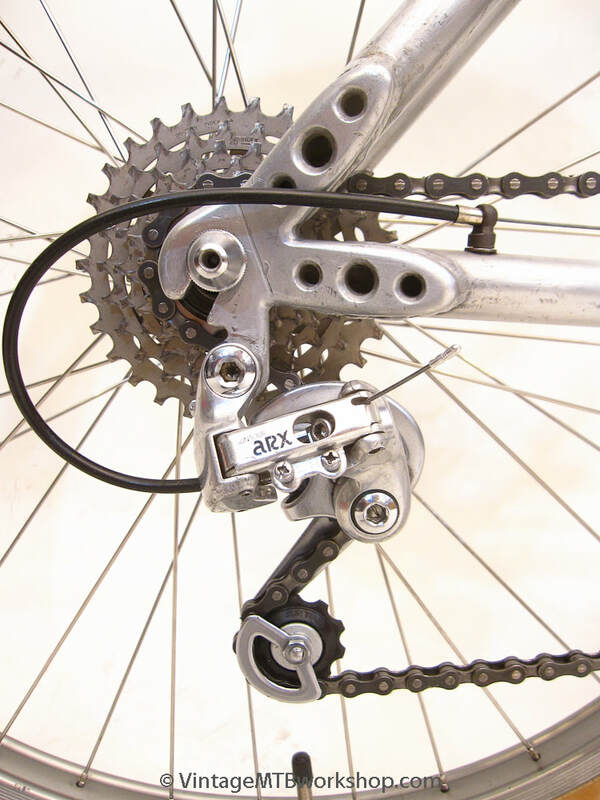 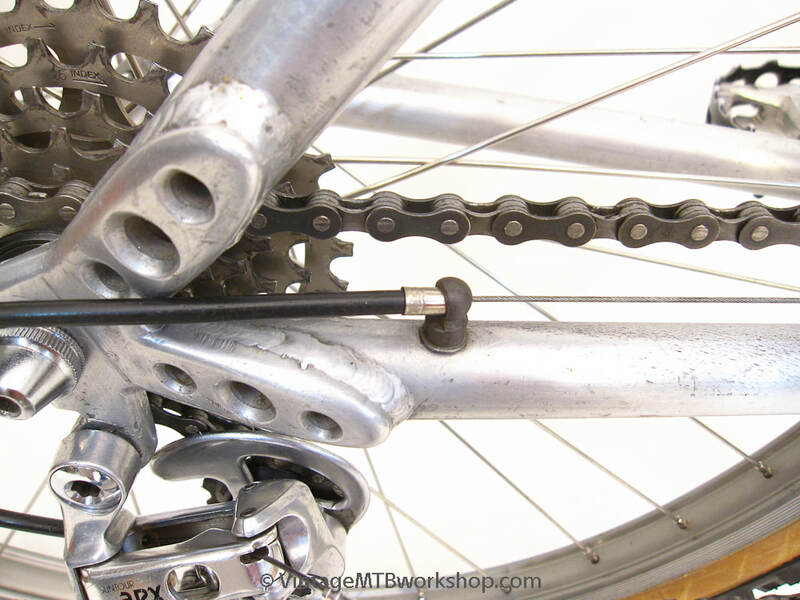 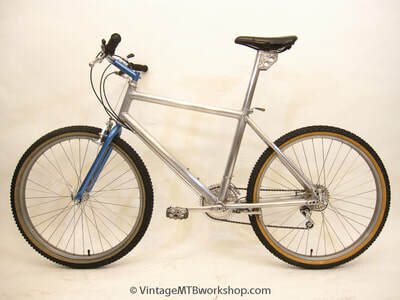 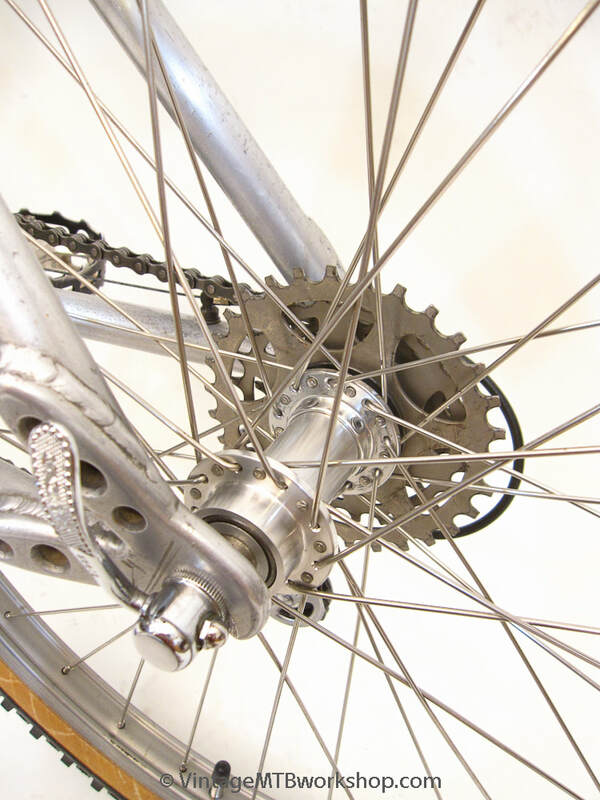 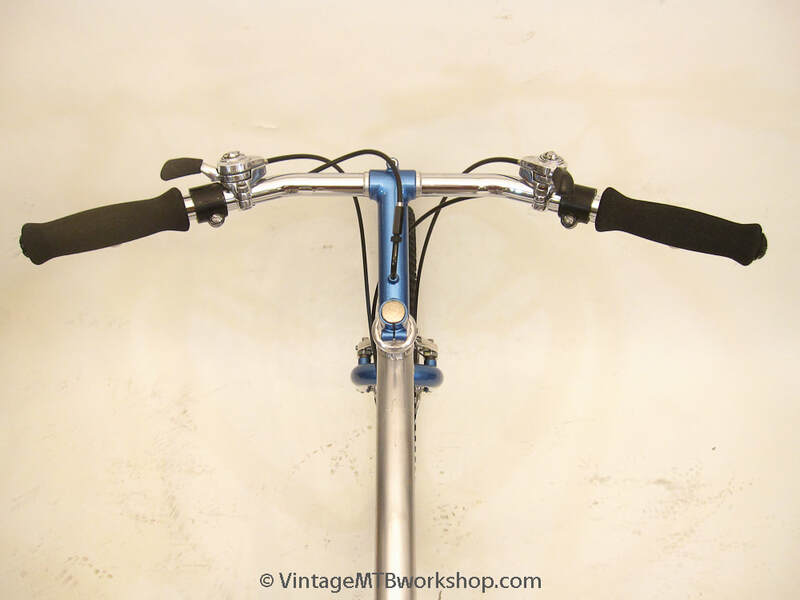 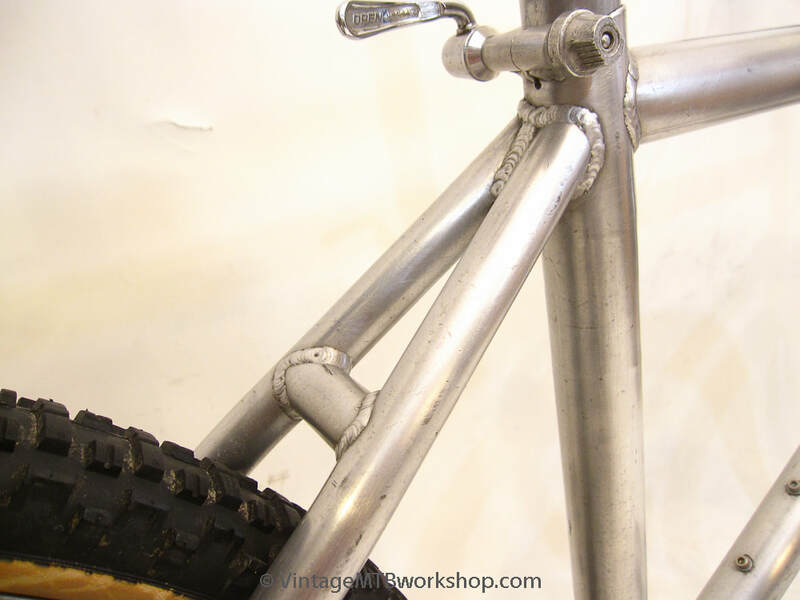 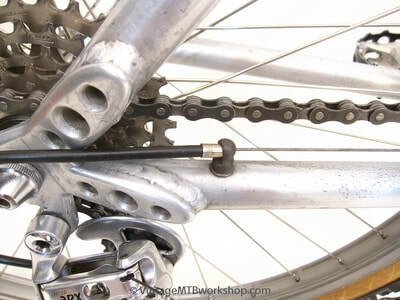 One of the more notable features of the bike is the top of the seatpost, constructed out of diamond plate aluminum with an offset well over 2 inches. Considering that the effective toptube on this large frame is only 20.75", and coupling that with a 75 degree seattube angle, the radical seatpost design appears to be compensation for frame geometry that is aggressive even by road bike standards. 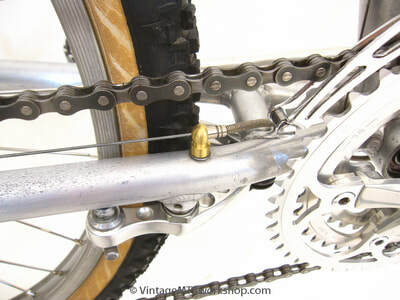 With no other surviving examples to compare with, more details about these bikes may be lost to time.